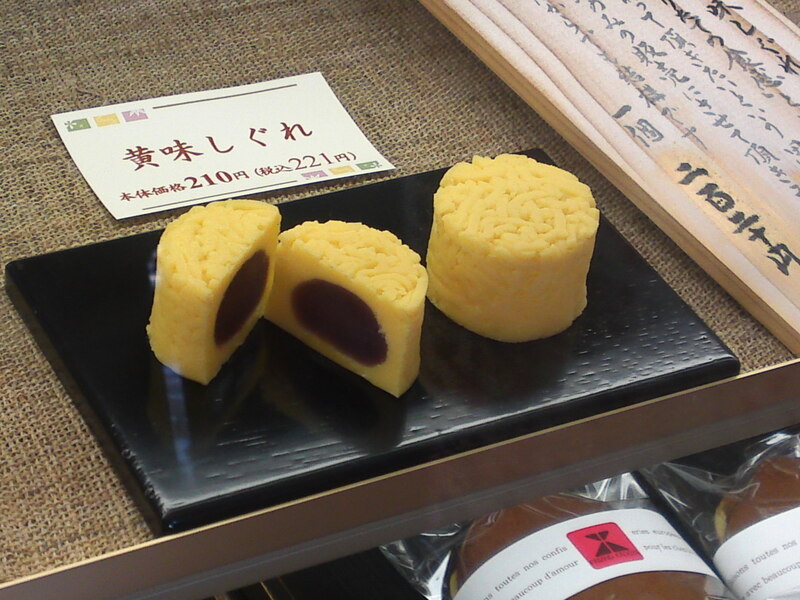 Vegan Japanese Cakes: Wagashi at Friand Kadoya in Shizuoka City! 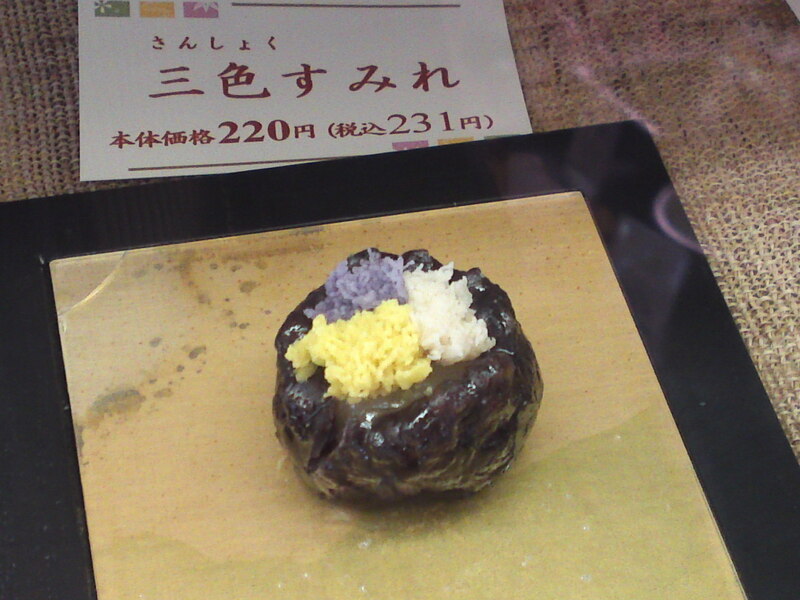 Wagashi/和菓子, or “Japanese Cakes” are a boon for people who don’t eat eggs or dairy products. No wonder they are witnessing a boom all over the world! 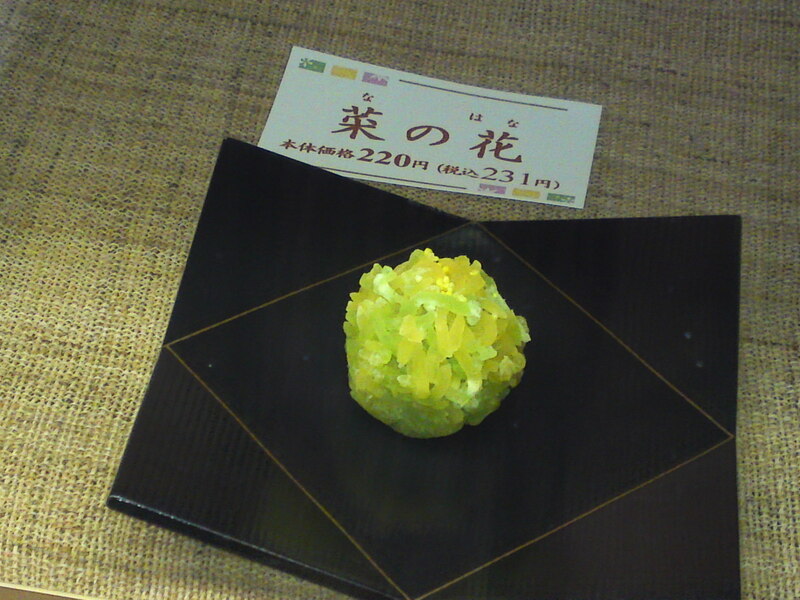 And true tradtional wagashi are not only healthy and tasty but also so artistic! 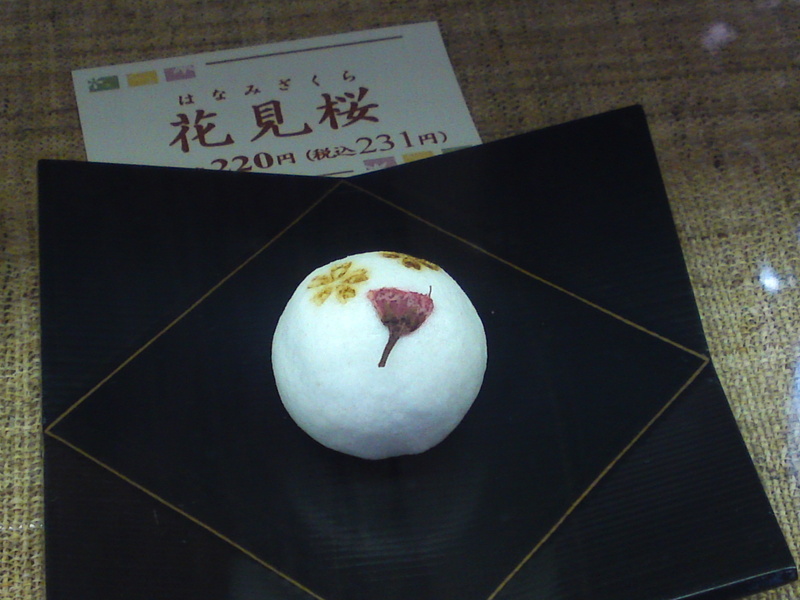 now, in Shizuoka City there a splendid and very traditional cake shop called Friand Kadoya which makes both European-style and wagashi cakes! 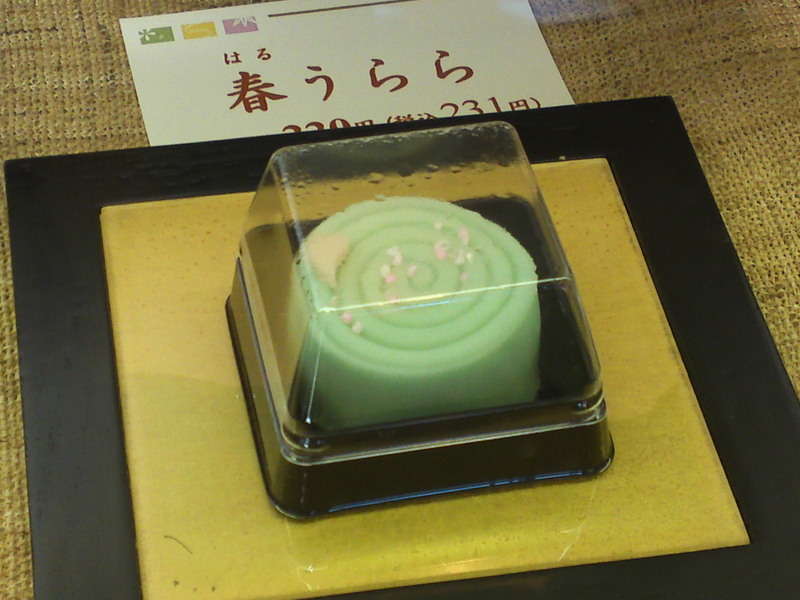 It is a famous establishment place and their wagashi can be enjoyed at Issa Kissa in Shizuoka JR Station! 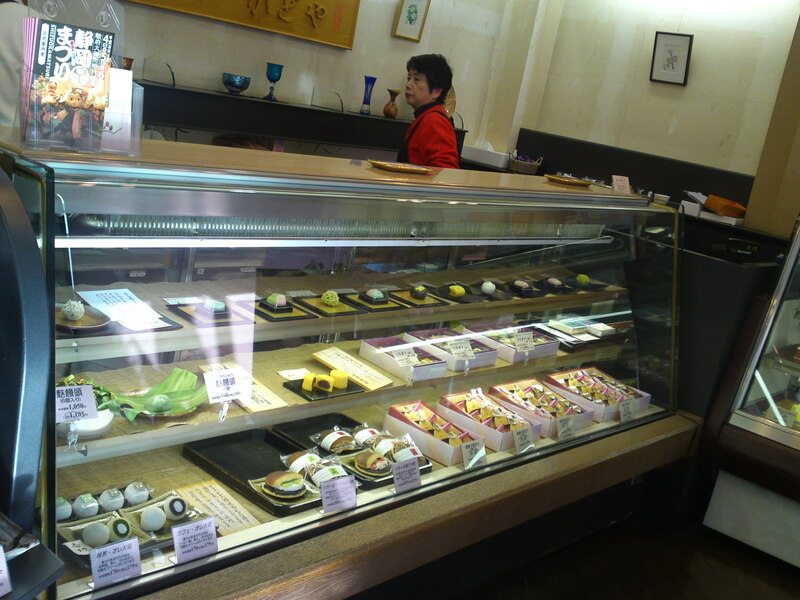 Actually the shop stand less than 10 minutes on foot from the Shizuoka JR Station South Exit! 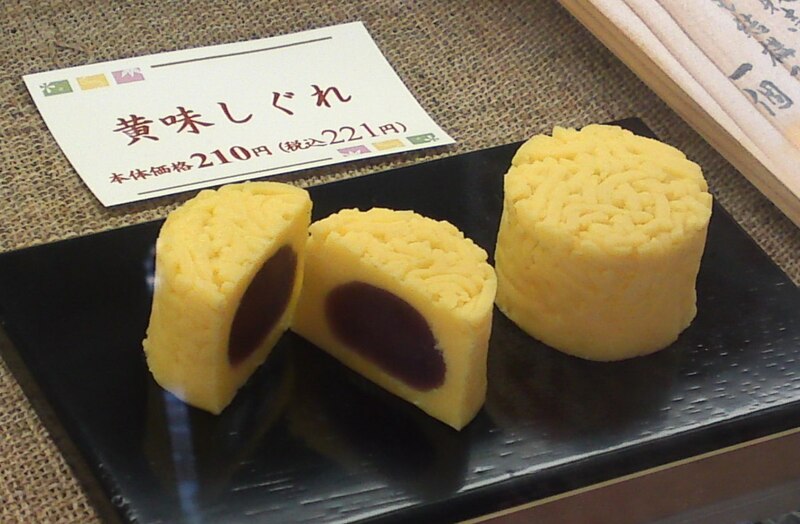 “Friand/ふりあん” can be loosely translated as “gourmet’s pleasure”, although the French will useful it in the expression, “Je suis friand de…/I love…”. 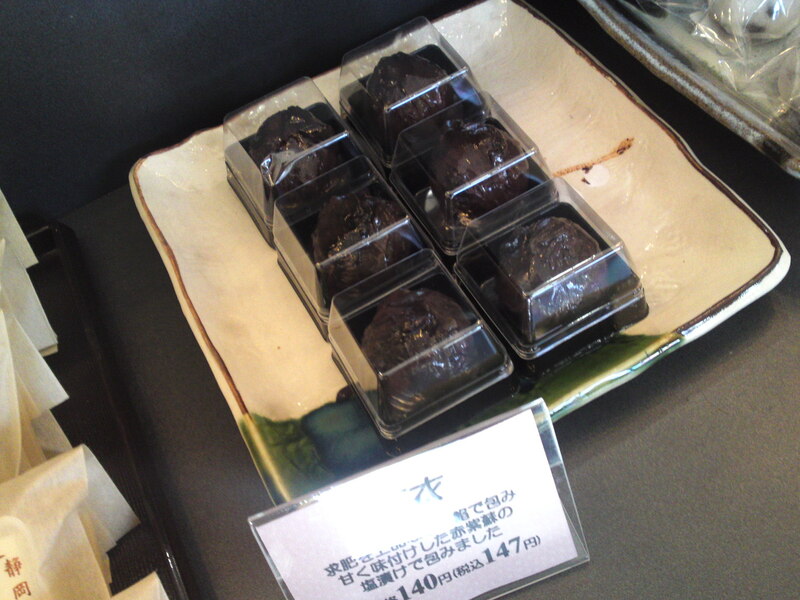 The word “friandise/sweets” is the noun for the adjective “friand”! 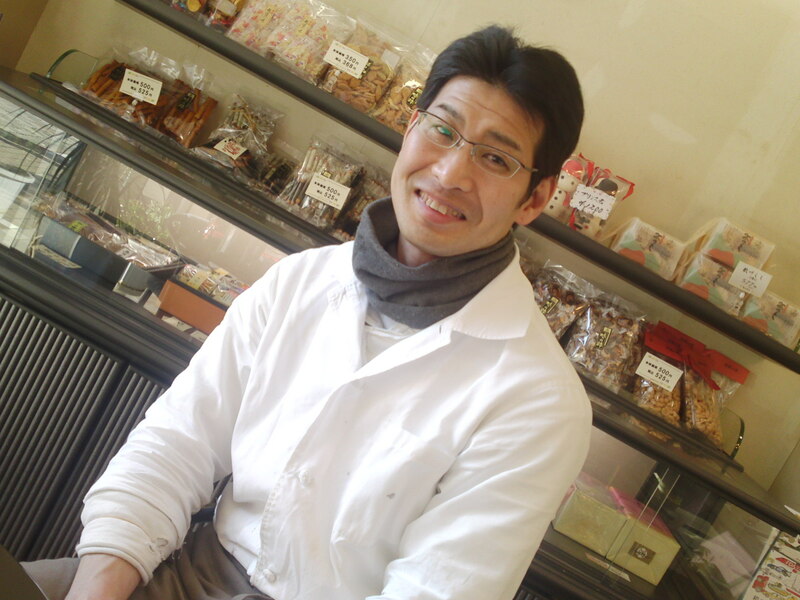 Mr. Eiji Asaba/浅場栄一さん is the 3rd geneartion owner/chef at Friand Kadoya. 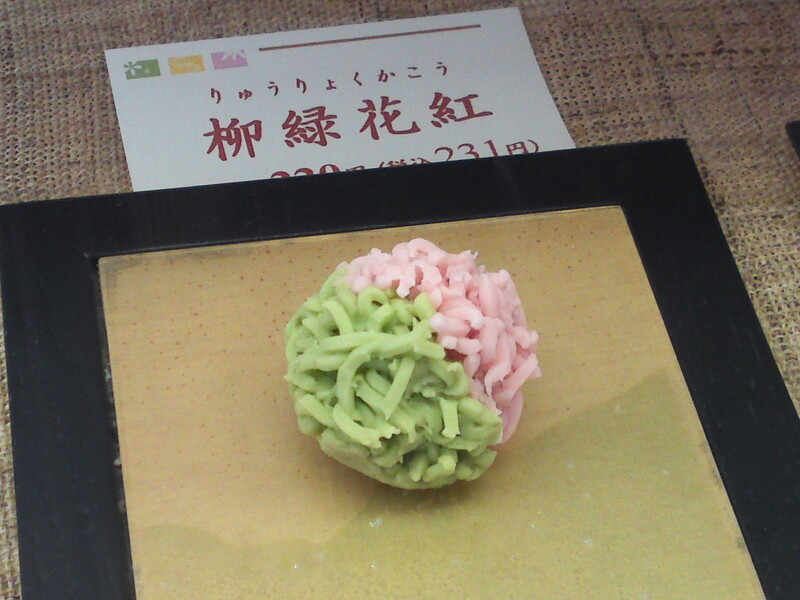 After graduating from High School he spent 2 years learning his craft in a wagashi cake school in Tokyo for 2 years and worked for 2 and a half more years in Tokyo before working under his father’s supervision for 13 years. 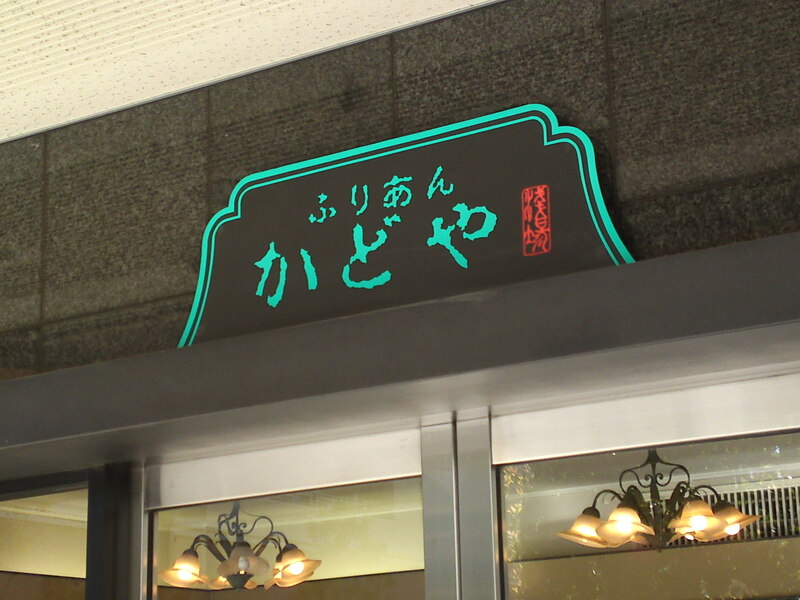 he has been the owner and chef for the last 7 years following the father’s departure from this world. 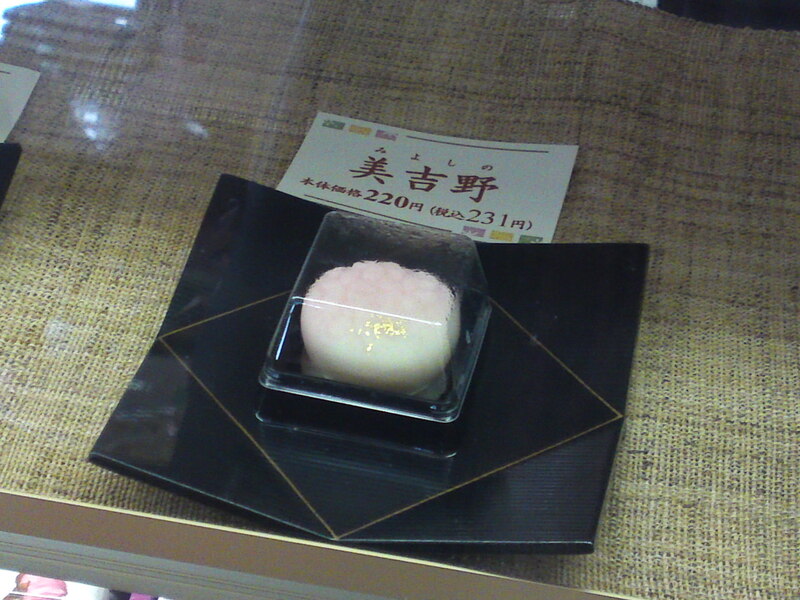 The wagashi cakes are separately displayed. 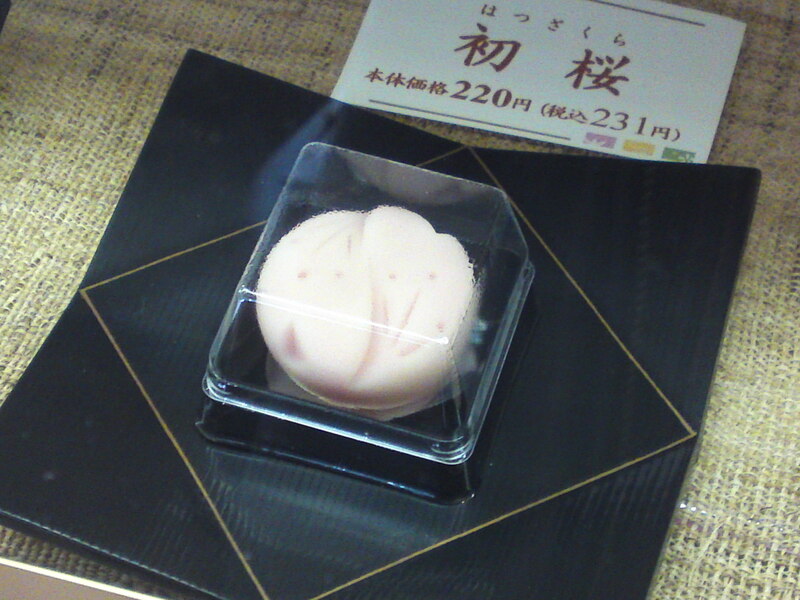 They are exclusively made with komeko/rice flour grown and produced in Japan. 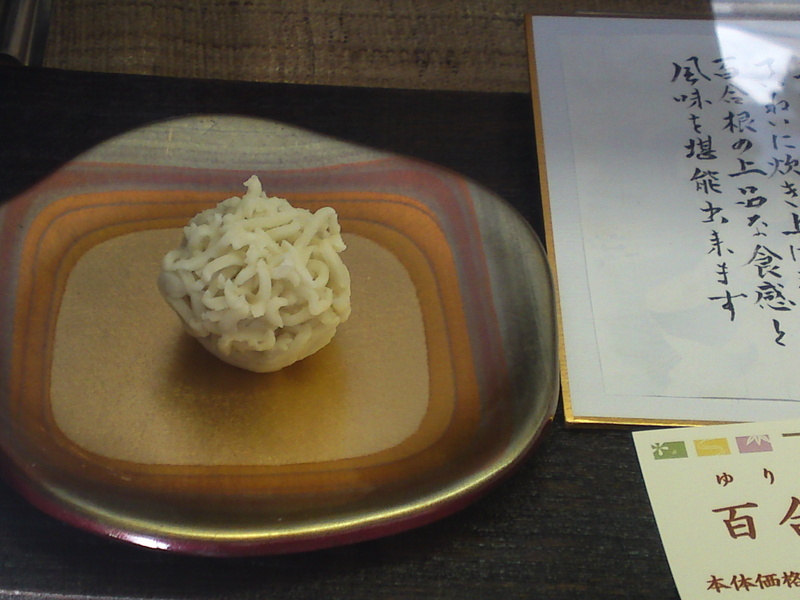 Sometimes he does have to use a little wheat flour. 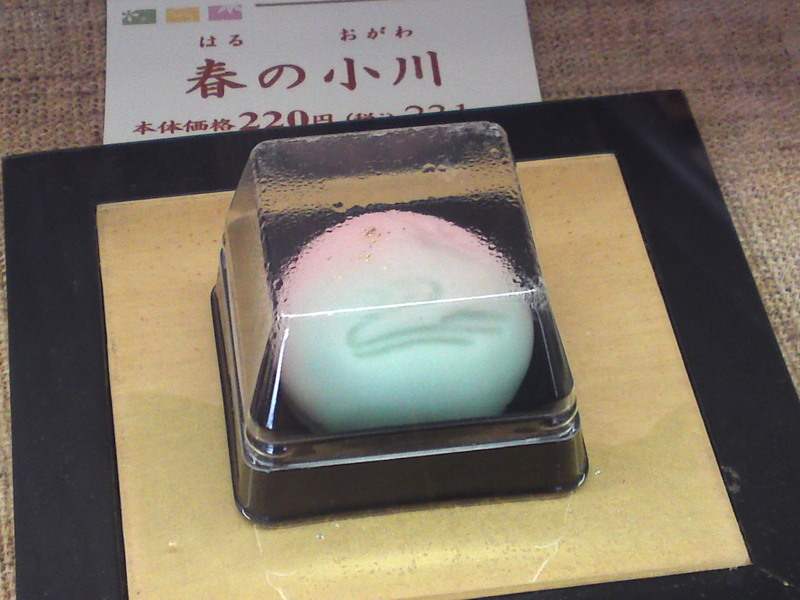 All coloring used in his cakes are either of natural vegetable and fruit origins or coloring only registered and allowed by the Japanese Government. March being a very busy season I had to content myself with a short chat with Mr. Asaba, a very affable man, and taking enough photographs to give you an indication of the true delicacies and works of art in wait for you! 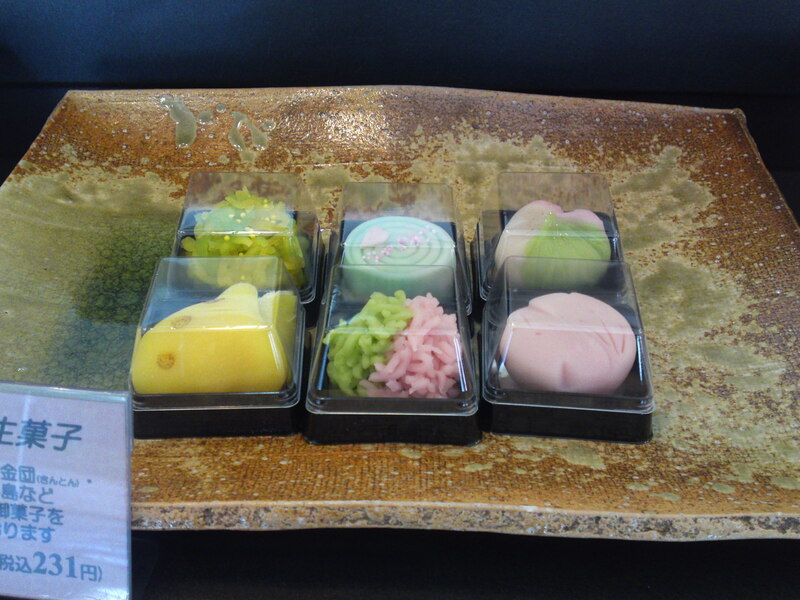 All wagashi can be bought separately, in pairs or in packages of varying volume! 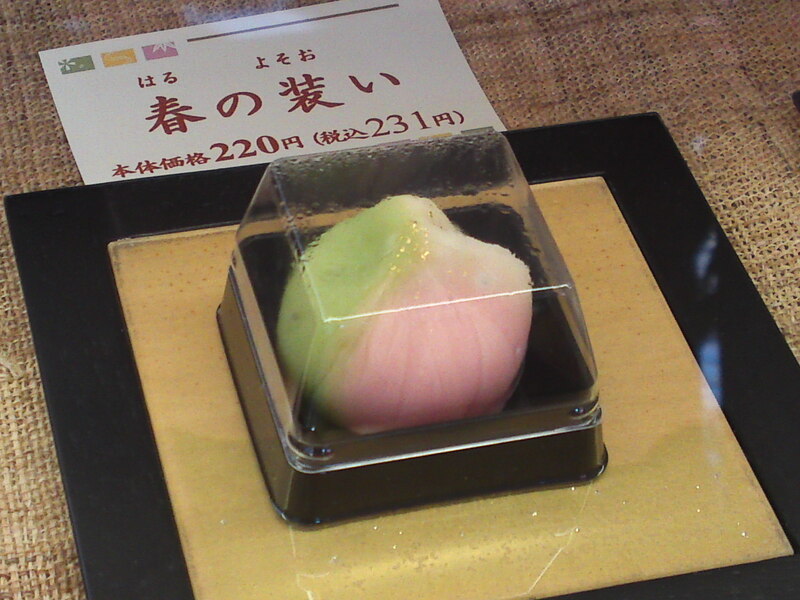 O-mochi wrapped in red shiso/perilla leaves! 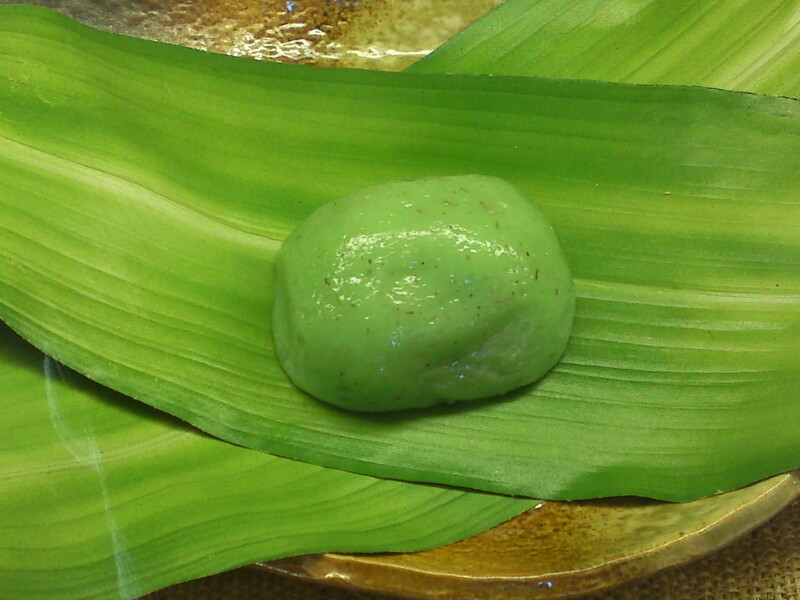 Macha o-mochi filled wit sweetmeats! 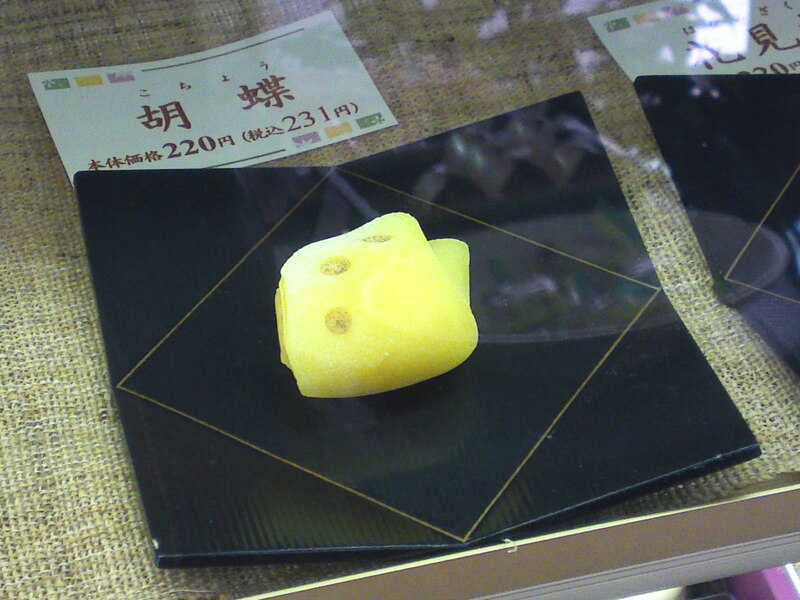 I’ve already had the pleasure to taste that one! 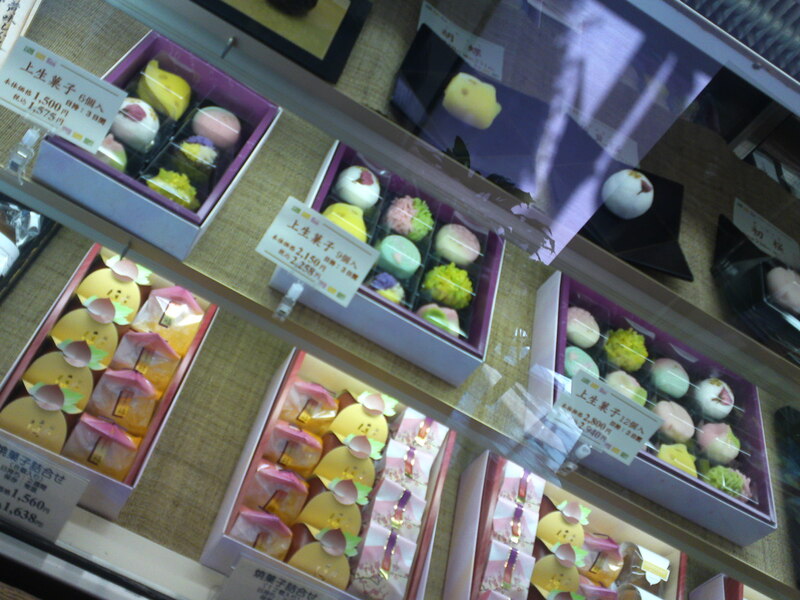 First of all expect all these cakes to be tasted and introduced in future postings! 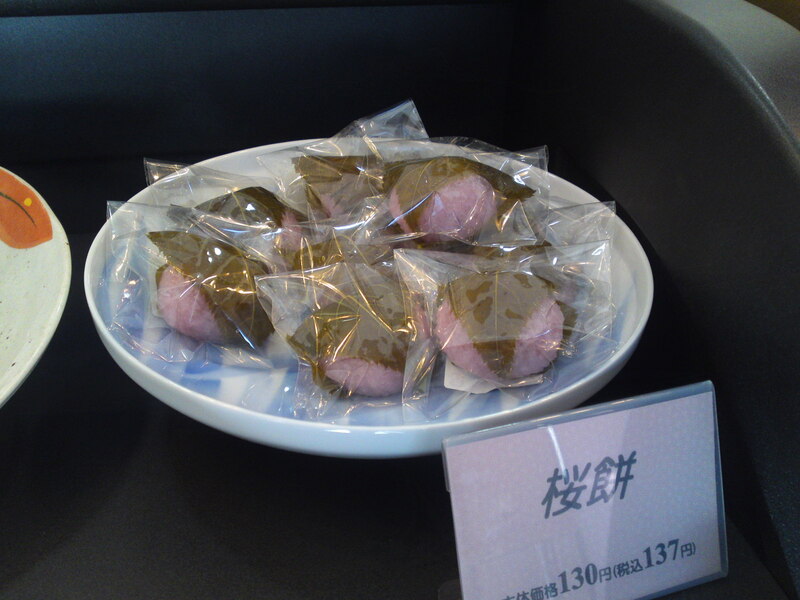 As they are seasonal, this promises to be ong series! 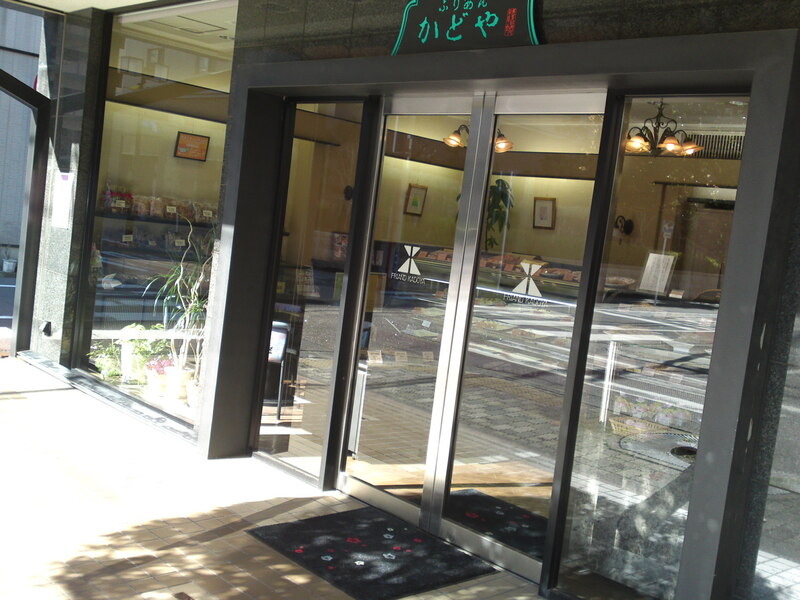 And as soon as Mr. Asaba is not so busy I will interview him at work!